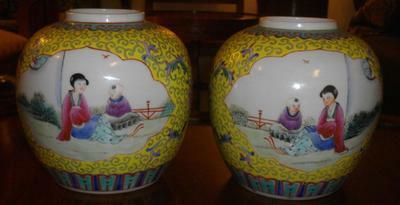 Could you please identify this pair of jars ? I can send more photos if you require. 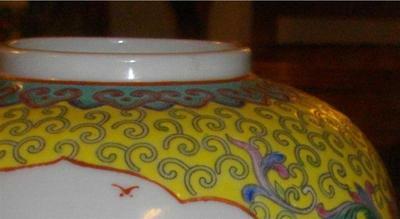 please wait for Peter's answer first but in my opinion it is Jingdezhen Reputable Porcelain No.10 enamel pattern). Early Peoples Republic period (1949-1966), probably 1960's. 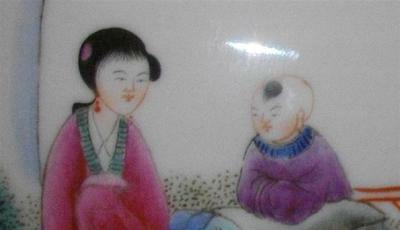 Hi Kurt, the mark says it was made in Jiangxi (province), Jingdezhen. 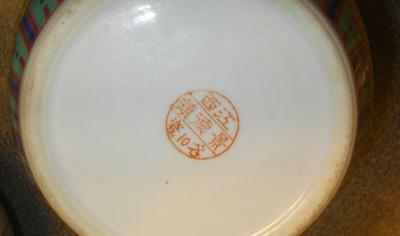 This mark is probably reliable, although I do not know the exact manufacturing time; this is vintage. The item was most likely made in the second or third quarter of the 20th century. Sal is right, the number probably indicates the factory.